In a recent search of 2+ bedroom condos in Bellevue the results were pretty bleak. Just 28 homes listed for sale with prices ranging from $300,000 to $13,950,000. Of those 28 homes 13 were priced under $1 million and of those 13, only three were priced under $500,000. Just 28 condos for sale in the entire city – we’re definitely experiencing a shortage of available homes. 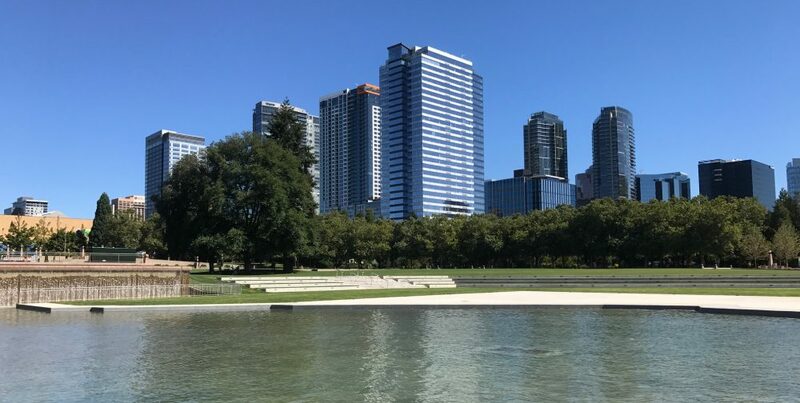 Downtown Bellevue is one of the hottest addresses on the Eastside, and while many condo buyers focus on the city’s urban communities, with limited inventory they are expanding their search beyond downtown. In the past this would have opened up the selection of available homes, but inventory is in short supply everywhere on the Eastside. If you’ve been searching for a home in recent months you already know, with high demand and low inventory, that multiple offers are common. For every house for sale there may be 3, 4, 5 or more offers submitted. Only one buyer can prevail, so the other buyers are back in the search for the next new listing. As we head into spring there should be an increase in the number of homes coming on the market, but rather than the typical 8-10 per week it’s likely to be just 2-3 per week. Buying a home should be fun, but this year its going to require patience, preparation and a sense of humor. Buyers need to be positioned to win, so now more than ever it pays to work with an experienced lender and a Realtor® who know the market and will serve as your advocates and guide you through the process. 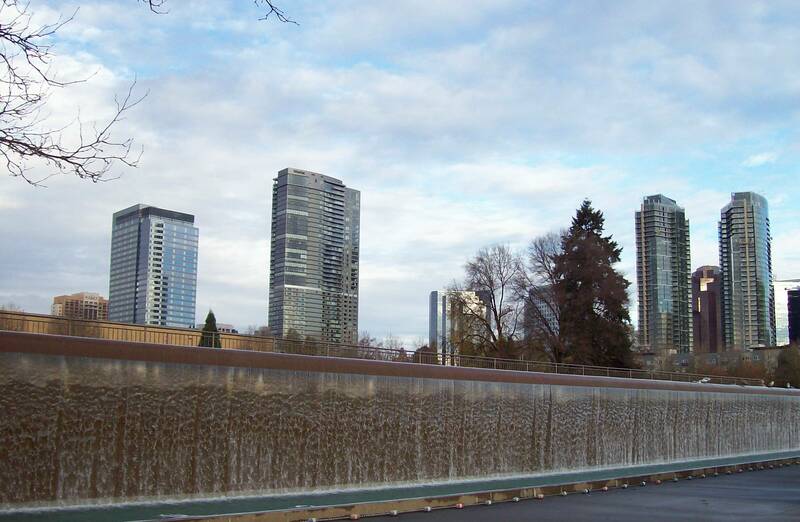 While several new apartment communities have been completed and more are planned in Bellevue, its been nearly a decade since any new condominium residences were built. (Both Bellevue Towers and Washington Square were completed in 2009. WA Square still has developer owned units for sale in both towers.) Finally, there’s new condominium inventory on the horizon. Just east of the central business district, construction has started on this community of 12 luxury townhomes. Sited in a protected park overlooking Kelsey Creek, 3 bedroom floor plans offer 2,000+ SF with an open concept design, contemporary finishes, private garages and rooftop decks. The convenient location is minutes to downtown Bellevue, the Spring District and future light rail. Prices start at $835,000. Completion is expected in fall 2017; nearly half of the homes are already pre-sold. Just a few homes remain in this new community of 23 townhomes just south of Main Street at 107th Avenue SE. Homes are generous in size with 2,000+ SF featuring contemporary design, rooftop decks with skyline views and private garages. A few homes remain with prices starting at $1 million. Also under construction, 18 townhomes will be available for occupancy fall 2017. Located in the Crossroads neighborhood, the community is walk-able to shopping, restaurants and multi-screen theaters. 3 bedroom open concept floor plans offer 2,000+ SF of living space. Prices start at $789,900. With no new condos downtown in nearly a decade, One88 will be a welcome addition to the city’s residential skyline. Bosa Development, developer of the successful Insignia condominiums in Seattle, is set to construct a 21 story building at the corner of NE 2nd Street and Bellevue Way NE. 143 residences ranging from 1 bedroom floor plans to luxury penthouses are planned complimented by world class owner amenities. Construction is scheduled to start early this year with occupancy in 2019. No floor plan or price information is available. Two 40 story towers will be part of a four tower residential/hotel/office/retail project at the corner of 110th Avenue NE and NE 8th Street (west of the Bravern). Phase 1 of the project is projected to include 355 condominium residences in one tower and 435 apartment residences in the other. High end retail and an urban grocer are part of the first phase plans. Construction is scheduled to begin in mid-to-late 2017 with a 2019 completion. No floor plan or price information available. Its easy to get excited about the perfect condo when searching for a home, but condos have many moving parts. One of the most important, and often overlooked issues, are the HOA rules and regulations, particularly as they relate to pets and non-owner occupied units. Some communities restrict all pets, others allow only cats, and some have weight or breed restrictions for dogs. The Puget Sound region is rated as one of the top in dog ownership in the country – don’t fall in love with a condo only to discover your family pet isn’t welcome. Pet restrictions can (and do) have an impact on resale – buyers may eliminate communities that won’t permit them to bring four legged family members. Rental restrictions need to be disclosed and understood up front as well. If purchasing a condo as an investment, or if you hope to rent down the road, research and understand community rental restrictions or limitations on use. Sellers should disclose rental or use restrictions at the time a property is listed for sale to avoid buyer misunderstandings, delays in closing or a failed transaction. Condos have many moving parts. Work with an industry expert who knows the local market and is familiar with the rules and regulations that apply to ownership in specific communities. A condo expert can help you find the right condo and community for your lifestyle and investment goals and guide you through the issues specific to condominiums and HOAs.